Ireland is a beautiful country that has many hidden treasures for the adventurous traveler. From ancient castles to a unique and delicious local cuisine, there is something for everyone! If you’re planning a trip to Ireland soon, check out our top 12 suggestions for places to go, sights to see, and things to do there. 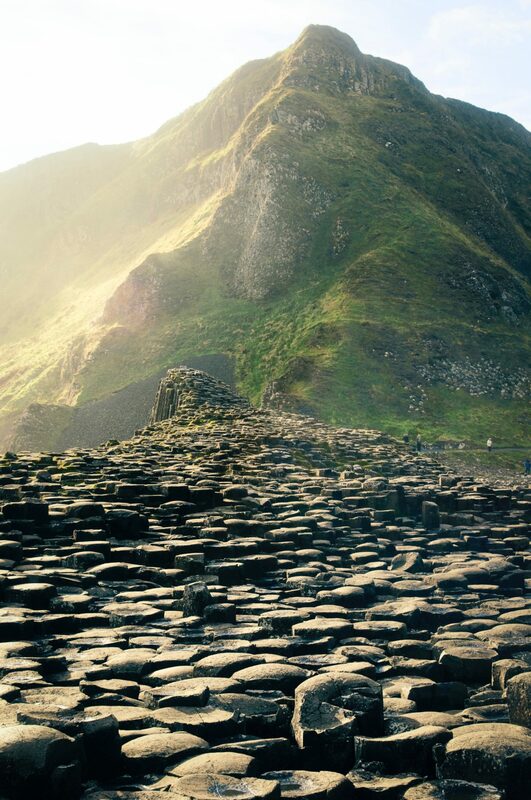 Giant’s Causeway consists of 40,000 basalt stone columns which were left by a volcanic eruption 60 million years ago. It is now a UNESCO World Heritage Site. You can get personalized guided tours or follow trails and take in some beautiful coastal scenery. Trinity College Library is, arguably, the prettiest library in all of Europe and the largest in the whole of Ireland. Take a wander through its impressive chambers and discover a wealth of knowledge that’ll leave you book smart! The Open Gate Brewery is more than just a brewery – it’s more of a Willy Wonka style laboratory to make the most delicious beer, stout and ale recipes in all the world. With one of a kind flavors and mixes coming from whiskey, chocolate and other ingredients from across the globe, this is worth visiting when you visit Dublin. Whiskey and Ireland are just a natural fits next time you’re in Dublin, head over to Teelings to try some of the best whiskey inside the city! This family run distillery makes some pretty delicious treats and they’ll even let you take a tour to learn all about distilling that famous Irish nectar. Take a wander through Temple Bar, follow the walking route of the river, or just find as many delicious restaurants as you can! Dublin city center is a really accessible city and easy to walk around, which is made even better when the sun comes out to play! This is probably the easiest one on the list as its quite easy to find many bars and pubs in Dublin who have traditional Irish dancing . I’m not typically one for watching dancers in a bar/pub but you really have to make an exception when it comes to Irish dancing! Overlooking the Plains of Tipperary, the Rock of Cashel is one of Ireland’s most historic sights. This was the seat of the ancient kings of Ireland. St. Patrick baptized King Aengus here in 450 AD. Now visitors arrive every day to tour this historic complex of buildings. Kinsale is one of Ireland’s most picturesque towns. With colorful, winding lanes, fabulous restaurants, and a nearby golf course, Kinsale attracts a lot of visitors during the summer months. It’s also the starting point (or ending point, depending on which way you are traveling) of the Wild Atlantic Way. Skellig Michael is a rocky island located off of the coast of the Ring of Kerry. Visit an ancient monastery, see the nesting spot of Puffins, and see where Star Wars: A Force Awakens and Star Wars: The Last Jedi were filmed. To get here, it is a one hour trip by boat over the somewhat rough Atlantic Ocean. Only a handful of boats are permitted to make the trip everyday, so your tickets must be booked well in advance (3 – 6 months in advance!). If you are lucky enough to get a spot, a trip to Skellig Michael just may be the highlight of your time in Ireland. You can’t come to Ireland without, at least one time, ordering fish ‘n chips with a pint of Guinness. Sitting between Upper and Lower Lough Erne, the vibrant town of Enniskillen is well worth a stop and is filled with some rather fascinating historical gems. When you’re here, take some time to pop into ‘The Diamond’ (which is the nickname of the bustling town square). The Wild Atlantic Way is 1600 miles of road snaking along the western coast of Ireland. Driving the Wild Atlantic Way is an ambitious road trip. If you stopped at each viewpoint and explored every nook and cranny of the Wild Atlantic Way, it would take over one month. With less time, you can focus on a small portion of the drive or just hit the main highlights. The Ring of Kerry, Dingle Peninsula, and Cliffs of Moher all are some of the sights on the Wild Atlantic Way. But there are also plenty of lesser known but just as dramatic viewpoints to visit. In fact, there are 157 Discovery Points to visit on the drive.